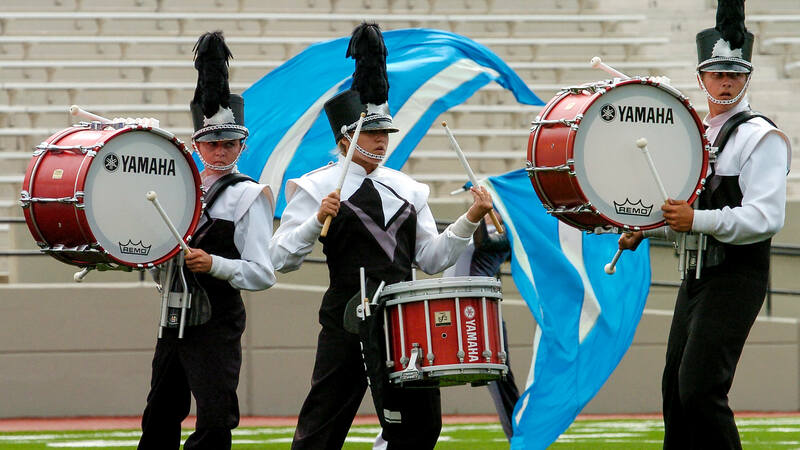 2008 marked the first of 11 years that events in Michigan City, Indiana kicked off World Championships Week for Drum Corps International’s Open Class corps. The top 17 corps from the Open Class Quarterfinals advanced to the Semifinals competition downstate at Indiana University in Bloomington. International Class corps Beatrix from the Netherlands also joined them. 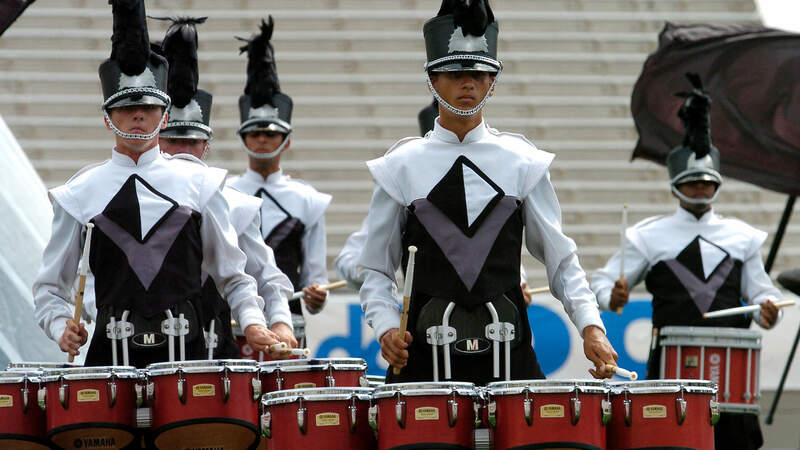 Throughout the 2008 DCI Tour, Blue Devils B only lost one show prior to the last week of the season, falling to Vanguard Cadets at the two corps’ first meeting in June. After that loss of only two tenths of a point, the Devils won the next seven meetings with their Bay Area rivals, and also won the Quarterfinals in Michigan City and Semifinals in Bloomington. In the Open Class Finals, however, Vanguard powered forward, finishing a miniscule half a tenth ahead. In 2004, two local eastern Washington businessmen founded Spokane Thunder with support from local high school band directors. The corps took its first tour the following year, a two-week excursion through western states. The corps placed sixth at the 2006 DCI Division III Finals, finished 11th in 2007, then 7th in 2008. With only 18 in the brass section in 2008, the entire corps fit on one bus, inspiring members and staff to refer to themselves as “the little corps that could.” Despite its small size, the corps broke 80 points for the first time in history, blasting through that former barrier with a score of 91.025 in the Open Class Finals, less than six points under the winning score of Vanguard Cadets. Thunder’s 2008 production, “Antithesis,” consisted entirely of untitled music composed by corps brass arranger Nick Golding and percussion arranger Jeffrey Willis. Golding conceived the music to be as musically diverse as possible, while focusing on making the 18-piece horn line sound strong. According to Golding, contrast, opposites, and extremes inspired the concept of the production. Visually setting the theme, triangular outlines showed up throughout the corps’ drill formations while props and uniforms also sported the three-cornered shape. Frequent musical stabs grouped in threes further drove home the concept. Additionally, eight triangular props displayed shades of grayscale during a transition from black to white. Musically, extreme dissonance filled much of the show, eventually resolving in major tonalities. Stabs of dissonant brass chords opened the production, while the seven-person color guard section, wearing gray costumes, twirled solid black flags. Only the red of the percussion section’s drum shells provided contrast to the whites, grays, and blacks of the guard props and the costuming of the percussion and brass players. In the middle of the opening movement, a lone red flag appeared for a few seconds, pulling audience’s eyes to the sudden interruption of brightness. The ending of the first movement had a sort of Mideast musical feeling with ethnic drumming. The entire color guard section proceeded to pick up red flags for the rest of that segment. The corps’ slower second movement continued the thematic use of dissonance, accented by flags of various shades of blue; two to each guard member. Mostly performed to the back of the field, the repose of the ballad countered the dissonant harmonies that continued to pop forth from the horn line. The third and final movement returned to more dynamically forceful music, increasingly less dissonant and with a sense of approaching resolve. Quite a bit of give-and-take between the different sections of the horn line answered each other’s short outbursts with equally brief statements of their own. The battery percussion section, increasingly in the forefront, laid down the rails for a rhythmic ride to the end of the show, while lightly striped yellow flags instantly brightened the field. Solid large white flags appeared just before the end of the show. As brass players filled in a tight triangular block straddling the front sideline, the show ended with three musical stabs just as it had begun. Michael Boo was a member of the Cavaliers from 1975-1977. 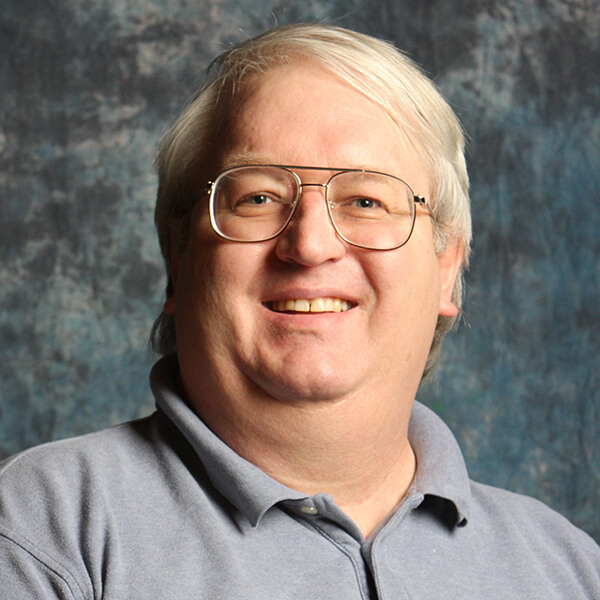 He has written about the drum corps activity for more than 35 years and serves as a staff writer for various Drum Corps International projects. Boo has written for numerous other publications and has published an honors-winning book on the history of figure skating. As an accomplished composer, Boo holds a bachelor's degree in music education and a master's degree in music theory and composition. He resides in Chesterton, Indiana.